The rapid increase in the performance of graphics hardware coupled with recent improvements in their programmability has made graphic accelerators a compelling platform for computational tasks. One of the most prominent products of their time, GPU's are used to accelerate applications often used for ML/AI requirements. 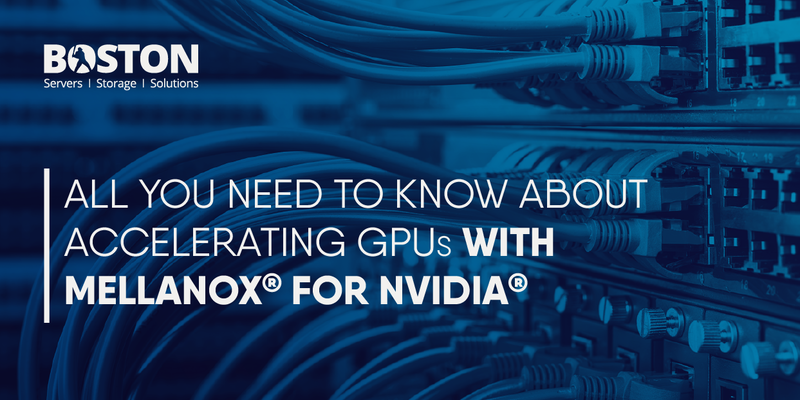 Mellanox Network interface cards in combination with NVIDIA® GPUs ensure the highest throughput and lowest latency required for GPU to GPU communication resulting in maximum utilisation and faster application speed. Purpose built deep learning and AI-accelerated platform, NVIDIA's ® DGX-1 Deep Learning appliances deliver performance equal to approximately 250 conventional servers. Based on the latest Pascal architecture-class of NVIDIA GPUs and four Mellanox ConnectX-4 ® EDR 100Gb/s Infiniband HCAs. The Mellanox InfiniBand and Ethernet solutions have been chosen to accelerate the new NVDIIA DGX-2 ® artificial intelligence (AI) system which uses eight Mellanox ConnectX adapters. These adapters provide 1600 Gb/s of bi-directional throughput making them an exceptionally resourceful application. Gilad Shainer, vice president of marketing at Mellanox Technologies mentioned their excitement collaborating with NVIDIA to bring the performance advantages of EDR InfiniBand and 100 gigabit Ethernet to the new DGX-2 artificial intelligence platform. “Doubling the network throughout as compares to previous system to provide overall bi-directional 1600 gigabit per sound data speed enables the DGX-2 platform to analyse growing amounts of data and to dramatically improve Deep Learning applications performance”. To find out more about NVIDIA DGX products speak to our sales team at [email protected] or call us on 01727 876 100.